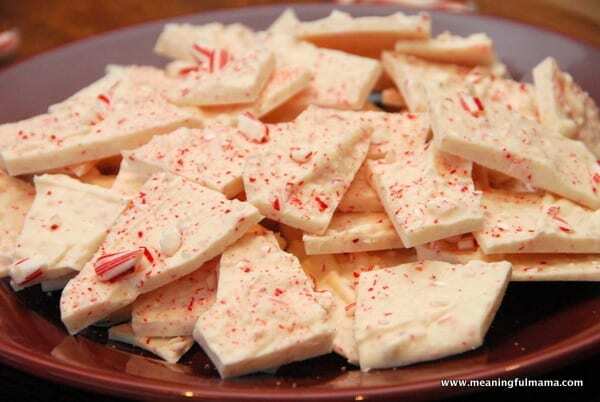 Peppermint Bark is one of those holiday favorites. 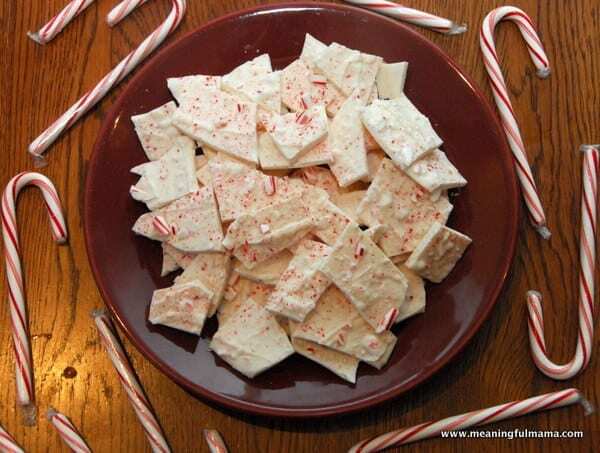 My mother-in-law has a number of cookies on her platters whenever we go over there around Christmas time, and this peppermint bark is always a part of it. You watch people going up and nibbling off this plate all evening long. It’s so easy too! That’s the beauty. Two ingredients and takes just minutes to create. First, take a majority of the candy canes (15-18) and put them in a food processor or break them up tiny by hand. The remaining candy canes, break or food process into courser bits. This will be for the top. 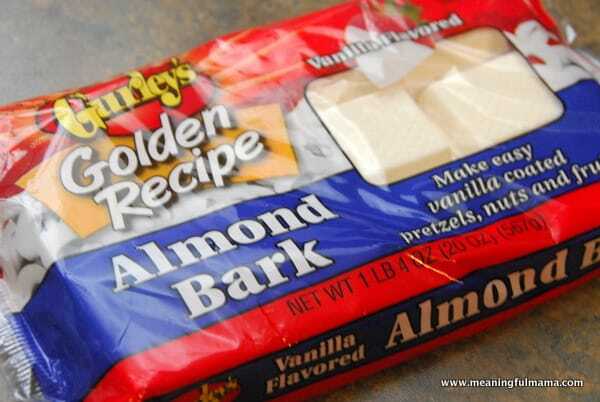 Take your almond bark and melt it in a double boiler. Stir often until melted completely. 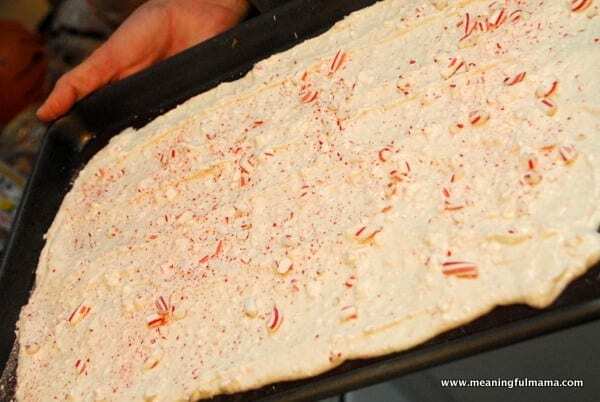 Once melted, stir the finely chopped candy canes into the bark. Smooth it out on wax paper or a silicone mat. I do it on a jelly roll pan with my silicone mat. I do it about 1/8″ thickness. Then, sprinkle the courser candy canes on top. You’ll stick that in the refrigerator for 5-10 minutes to harden. Break up into pieces to serve.